The Beavercreek City School District is one of the leading public school districts in Ohio. It is one of just 14 districts statewide to earn all As and Bs in the 2012-13 Ohio Department of Education State Report Card evaluations AND meet 24 of 24 indicators of proficiency by grade level and subject matter, despite the state's shift to more rigorous standards. Prior to the release of the 2012-13 results, Beavercreek had earned 12 consecutive “Excellent” ratings in Ohio Department of Education State Report Card testing, and was one of only 46 of 613 district statewide to do so. 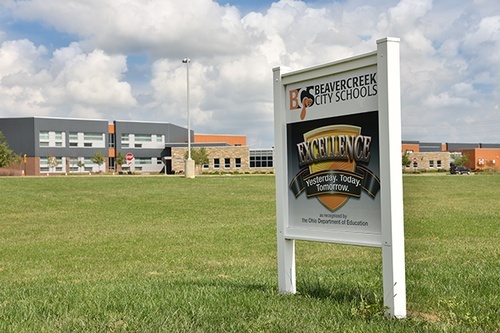 Beavercreek students consistently exceed national averages on all standardized tests, including proficiency tests, the Iowa Test of Basic Skills, the Cognitive Abilities Test and the ACT and SAT. As of 2006, Beavercreek High School has produced 320 National Merit Scholarship Semifinalists—more than any other high school, public or private, in Greene and Montgomery counties. The District was also named an AP District of the Year in 2012 by the College Board, which administers the Advanced Placement, SAT and ACT programs. The District’s high standards of professional development and ongoing education for teachers are reflected in numerous national, state and local awards earned by staff and students.